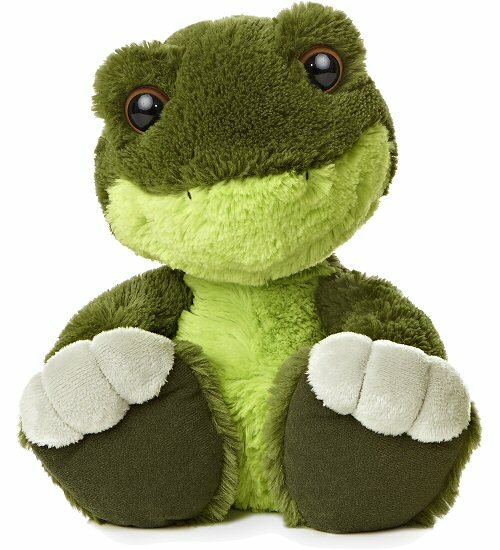 This is Bruno, an adorable Brontosaurus stuffed animal from the cute and cuddly Taddle Toes collection. This plush Bronto has awesome oversized feet with gray toes, a wonderfully huggable body, and warm golden-brown eyes. 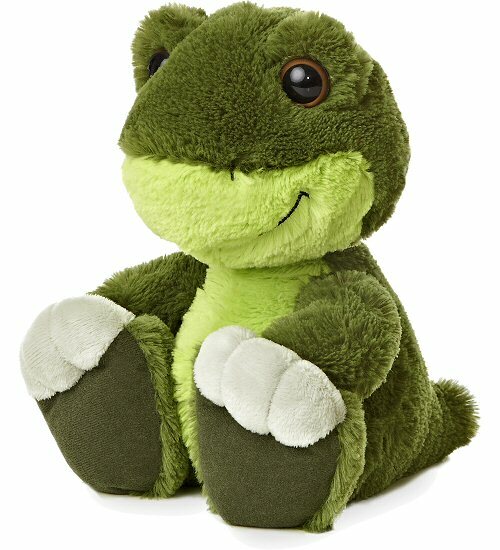 With soft dark green fur, a lime green tummy of the same soft fur, and a welcoming smile, you'll love taking this delightful stuffed dinosaur on all of your imaginative adventures. Fun Facts about Brontosaurus Dinosaurs: Did you know that the dinosaurs known as brontosaurus are now referred to as Apatosaurus? I thought they looked similar! T-Rex stuffed animal Roaree has awesome oversized feet, soft golden fur, and a smile full of fun felt teeth. This adorable Wild Watchers stuffed Diplodocus dinosaur has soft green fur, fun felt spines, and loving eyes in a sweet face. Create a room of exciting jurassic adventure with these fun In Dinosaur Land RoomFx wall decals.